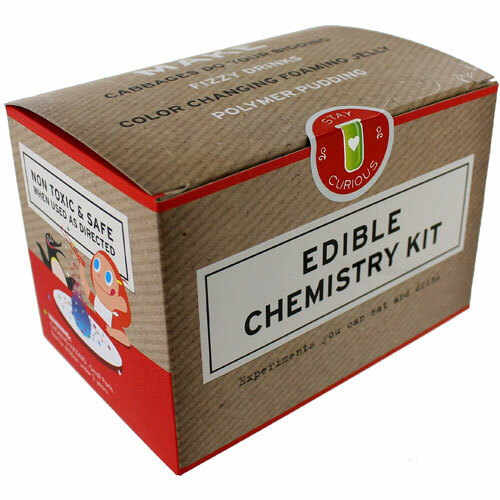 Use this chemistry kit to actually eat the experiments you perform. You can do sixteen different edible experiments with this kit, including making fizzy drinks, color-changing foaming jelly, polymer pudding, and making cabbages do your bidding. Great kit for introducing concepts of kitchen chemistry to young kids.